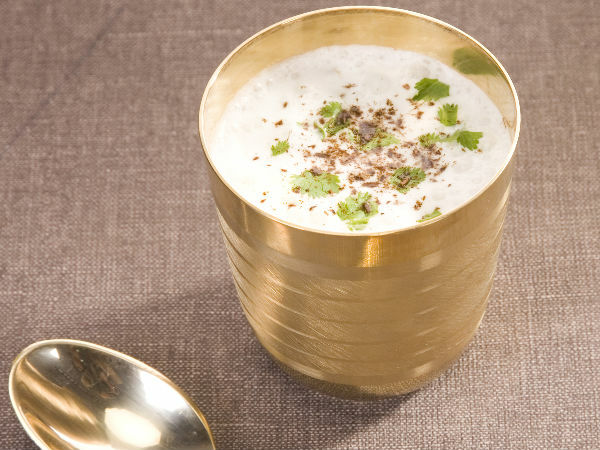 Jal jeera is a traditional drink which is popular during summer and served after the meal. It is made using jal-jeera powder mixed with lemon juice and water. Jal Jeera powder is made up of cumin, ginger, black pepper, mint, black salt, some fruit powder (either mango, or some kind of citrus zest), and chilli or hot pepper powder. It is also used as a traditional Indian remedy to boost digestion. Mattha is a traditional beverage made using curd, mint, roasted cumin seeds, asafoetida, curry leaves, salt and sugar. Mathha is normally served after meal as it helps in digestion. You need it the most when you feel dehydrated. Mathha is also called Chaas, ChaachorTaak. Bel ka Sherbet is another common refreshing and rejuvenating juice consumed by people during summers. Bel is also known as Bengal quince, stone apple or wood apple. It is a fibrous fruit and therefore helps a lot in digestion, blood purification and give relief from summer heat. The sherbet is made using wood apple pulp, water, jaggery, cardamom powder, cumin powder and salt. Ice is added to serve it cold. Bel ka sherbet is available outside offices, in the markets and parks. Shikanji is very popular and traditional lemonade drink consumed during summer. It is prepared from the ingredients such as lemon or lime juice, ginger juice, ice, water, salt, and cumin. It helps quench your thirst while on the move and is available everywhere including parks and street-side stalls. Shikanji is the most common and inexpensive drink that anyone can enjoy. Aam Panna is a well-known drink during harsh summer in May-June. It is made using green and unripe mangoes. It is very tasty and healthy drink. Green mango is good source of vitamin C which provides energy to our body at the time of energy loss in summers. Aam Panna is prepared using raw mangoes, sugar and a variety of spices that reduce thirst and help avert the unnecessary loss of salt and iron in body during summer season. It is also helpful in treatment of gastrointestinal conditions and helps increase resistance against tuberculosis, anaemia, and cholera. Aam panna is a rich source of vitamin B1, vitamin B2, and vitamin C.
Sugarcane juice is very common in most parts of the Indian Subcontinent. It is nourishing, rejuvenating and rehydrating drink that everyone can afford. Thejuice (Gannekaras) is extracted from sugarcane using a wooden or a mechanical hard press machine. 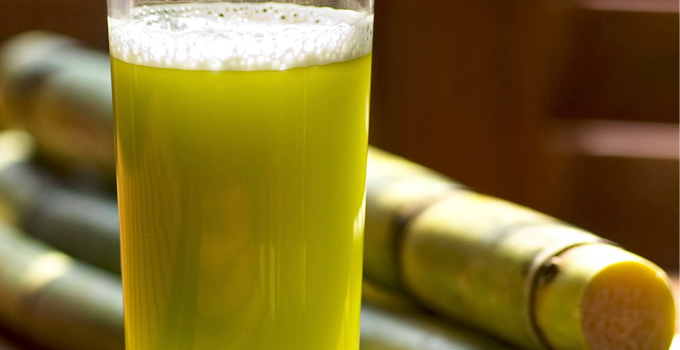 Sugarcane juice is served with a mix of lemon, mint and ginger extracts. 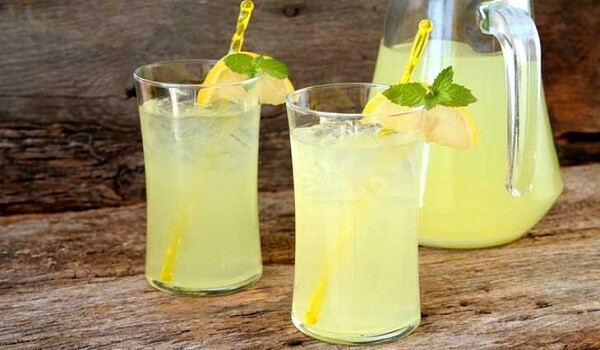 Lemonade is a traditional Indian cool drink which is very easy to prepare. It is also beneficial in rehydrating the body due to summer heat and fatigue. It is prepared using lemon juice, water and sugar for sweetness and ice as needed. Lemonade (NimbuPani) is popular drink in all over the country. Thank you so much,. These drinks is an Indian drink that promotes health benefits and ignore foreign drinks which has no health benefits but it has several disadvantages. Sweet lassi and aam ka panna is my favorite. These drinks are purely Indian which promotes their health benefits. All of them are not only thirst quenchers, but also healthy enough. only these drinks to which i love in summer. Perfect drinks for hot summers!